The first and greatest of French literature's epics, this 11th-century tale of romance and heroism embodies all the power and majesty of its predecessors from other cultures. Its narrative framework echoes that of Greek and German myths, and it melds historic accounts from the Dark Ages of Europe with folklore from the Far East — along with the legends of the troubadours and stories from Virgil, Hebrew scriptures, and other sources. 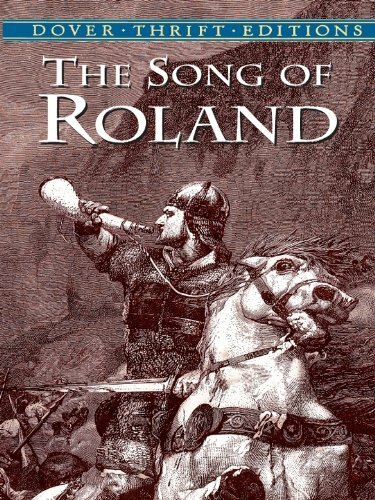 The timeless tale of the warrior Roland, nephew to Charlemagne and prince of the Holy Roman Empire, ranks high among the chansons de gest, or "songs of deeds." Its first audience, most of whom were illiterate, actually heard The Song of Roland sung to them. This crystalline translation by Leonard Bacon does full lyric justice to the ancient oral tradition. Listeners of a thousand years ago were captivated by this patriotic and poetic story of valor, betrayal, and revenge, and this modern interpretation ensures that readers will continue to fall under its spell.